You know you want to watch various films at the Toronto International Film Festival (TIFF) this year, but aren’t sure what movies are going to appeal to your unique taste. This is where Tiffbot comes into play. The bot is designed to help movie goers navigate the 300 plus films scheduled to be screened at this year’s annual event. 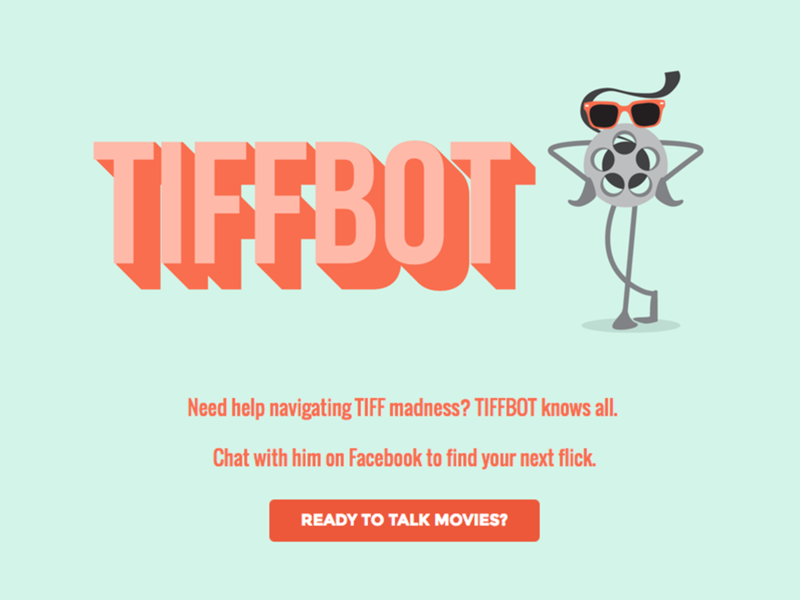 Tiffbot is built by Toronto Digital product agency TWG through a partnership with creative communications agency 88 Creative. Disclosure: BetaKit, MobileSyrup’s sister site, produces a podcast in collaboration with TWG and 88 Creative that members of the MobileSyrup editorial team have appeared on. 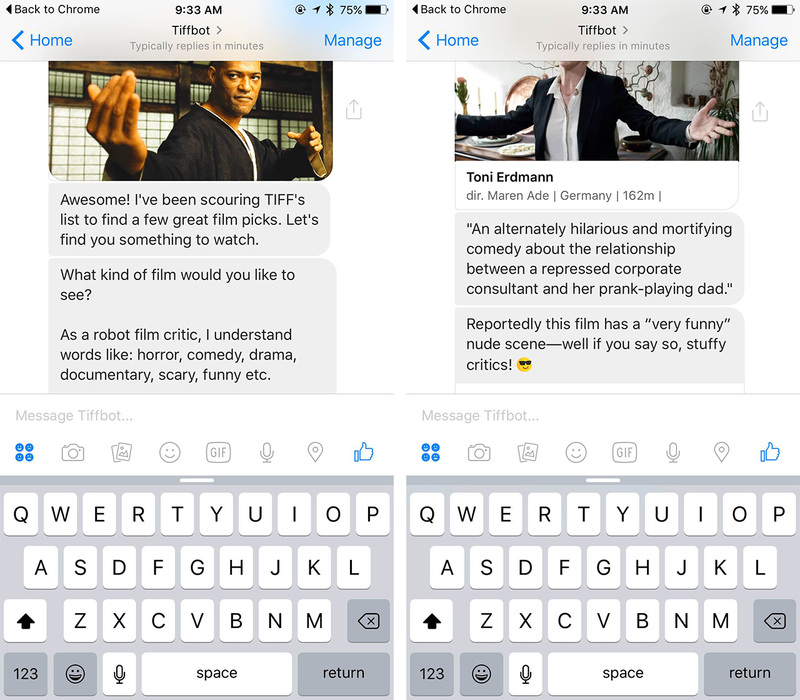 The rise of the synthetic personality: can chatbots be our friends?